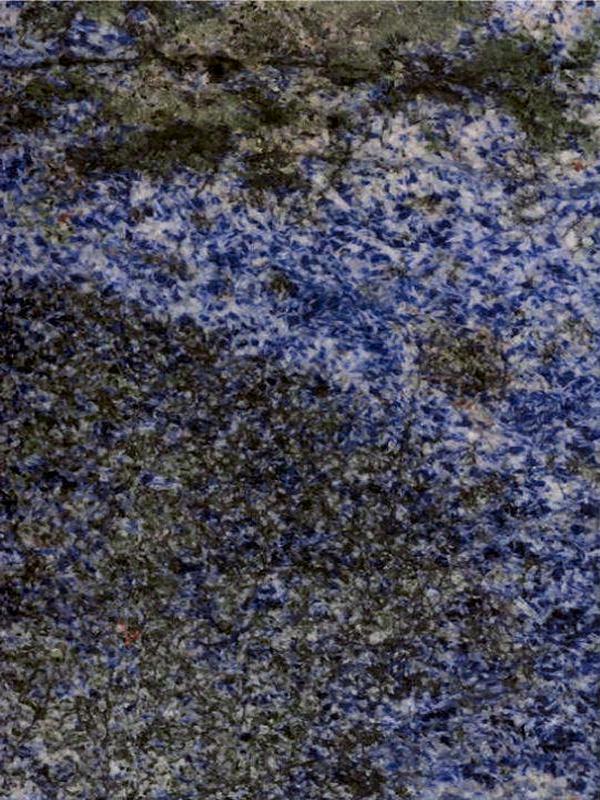 Description: Azul Bahia granite is a white-blue sodalite foidolite of the Precambrian period. This stone internationally may be nominated as a granite but in the area of application of the European Standard this stone must be nominated as syenite. The blue colour is caused by sodalite. Caution must be taken when cleaning since acids will change the sodalite blue colour into grey. Whilst Azul Bhia granite is frost resistant the polish is only constant for interior use. The veining and colour varies considerably and a small sample of Azul Bahia granite may not be representative of the whole slab therefore swatch samples must be approved for large projects to ensure that the blocks are all extracted from the same quarry face for matching purposes. During the polishing process a clear epoxy resin filler may be used to fill any micro fissures or tiny pitting however this does not affect the integrity of the stone, it merely provides an even smoother surface finish. Whilst Azul Bhia granite is frost resistant the polish is only constant for interior use. 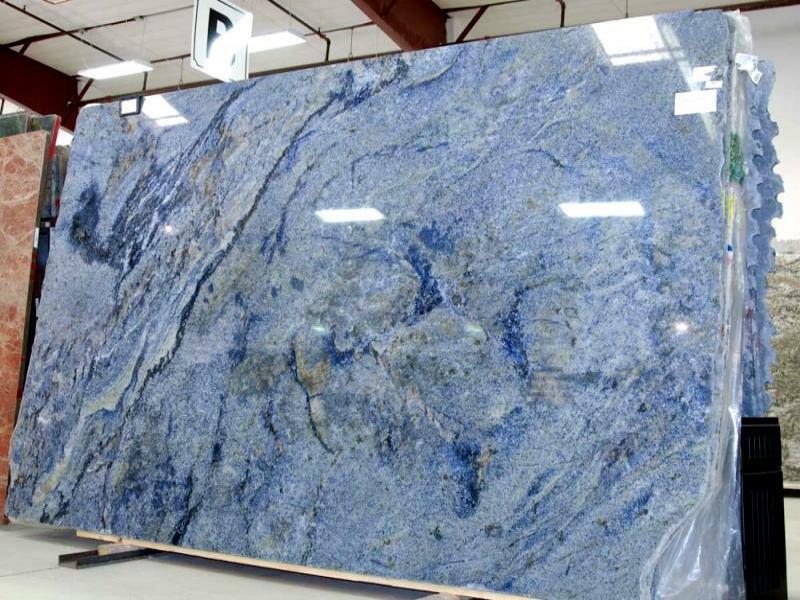 Surface Finish: Azul Bahia Granite looks best with a gloss polished surface but is also available as honed, leather/satin, river-washed/antique, thermal/flamed, brushed and sandblast finish. Sealing: Test with a small sample. It is possible that a sealant can be used on Azul Bahia granite however excessive attempts at sealing it could actually create a residue film build-up. Block Sizes: Azul Bhia granite raw blocks are often quite small and irregular in shape, a small sample of Azul Bahia granite is not representative owing to the huge variation in colour and veining therefore for large projects it is normal for the project specifier to personally select the required blocks since Azul Bahia is one of the world's most expensive granites. The cost of blocks are usually dictated by the natural colours present. Quarry Location: Azul Bahia granite is quarried on RN 000001, RN 000002, Fazenda Hiassu, Itaju do Colonia, Bahia, Nordeste, Brazil. Quarrying is believed to have first started in about 1965.